In this chapter, the two basic laws of thermodynamics are applied to changes in closed-system properties and to the work and heat requirements for several common processes. These include the four discussed in Sect. 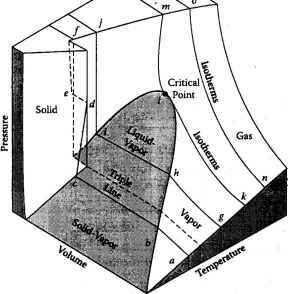 1.4, namely, isothermal, isobaric, isochoric, and isentropic processes. 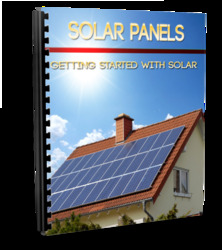 These processes have practical applications in their own right, and they also constitute component steps in thermodynamic cycles considered in Chap. 4.
where the subscripts 1 and 2 denote the initial and final states of the system. These states are specified, as is the restraint that fixes the path between them. The paths will be sketched on p-v coordinates so that the area under the curve is the work performed by the system. Because the work is considered to be performed reversibly, the pressure in Eq (3.1) is the common pressure of the system and surroundings. When the system is a fluid confined in a piston/cylinder apparatus, the pressure of the surroundings may be augmented by weights or springs (see problems 3.3 and 3.14). For the sake of simplicity, calculations are based on one mole of the substance that comprises the system. Thus, v is the specific volume and w is the work performed per mole. In a similar manner, heat absorbed from the surroundings is written on a per-mole basis and denoted by q. Numerical examples of each of the four "iso" processes are presented. The examples will be based on the properties of ideal gases, water, and simple solids. An example of a process that does not follow any of the four "iso" restraints is analyzed. An isochoric process in p-v coordinates is shown in Fig. 3.1. Since the system boundary is rigid, no work is performed (w = 0). Passage of the system from initial state 1 to final state 2 is induced by adding a quantity q of heat per mole of substance. The initial state is specified by a property pair such as pi and v, where v is the constant specific volume maintained during the process.